They are the true revealed words of the gods and therefore forms the highest authority over all other scriptures in the religion of the Aryans. The Aranyakas (Sanskrit āraṇyaka आरण्यक) are part of the Aryan śruti, the four Vedas; they were composed in late Vedic Sanskrit typical of the Brahmanas and early Upanishads; indeed, they frequently form part of either the Brahmanas or the Upanishads. The Brāhmaṇas (Devanagari: ब्राह्मणम्) are part of the Aryan śruti literature. They are commentaries on the four Vedas, detailing the proper performance of rituals. These are the principal Upanishads. Aitareya Upanishad : Reveals how the Holy Father emanated this universe. Brihadarnayaka Upanishad : Reveals the nature of Brahman, Gods and what is THAT which is pervaded everywhere in the cosmos. Mundaka Upanishad: Reveals the nature of Brahman. Kena Upanishad : Reveals the nature of Brahman. Mandukya Upanishad : Beautifully explains the different states of our mind like the Jagrat (Waking state), Swapna (Dream state), Shushupti (Sleep state) and Turiya (Eternal bliss state). Chandogya Upanishad : Reveals the nature of the subtle body and different koshas of the body. Katha Upanishad : Reveals the mystery of death and explains how to conquer immortality. It also lays down the theory of perception. Surya Upanishad : Explains the importance of the Sun god in the universe by calling him the soul of this universe. Prasna Upanishad : As the name indicates it consists of a series of questions in dialectic form conerning about the gods, Brahman and the nature of reality. 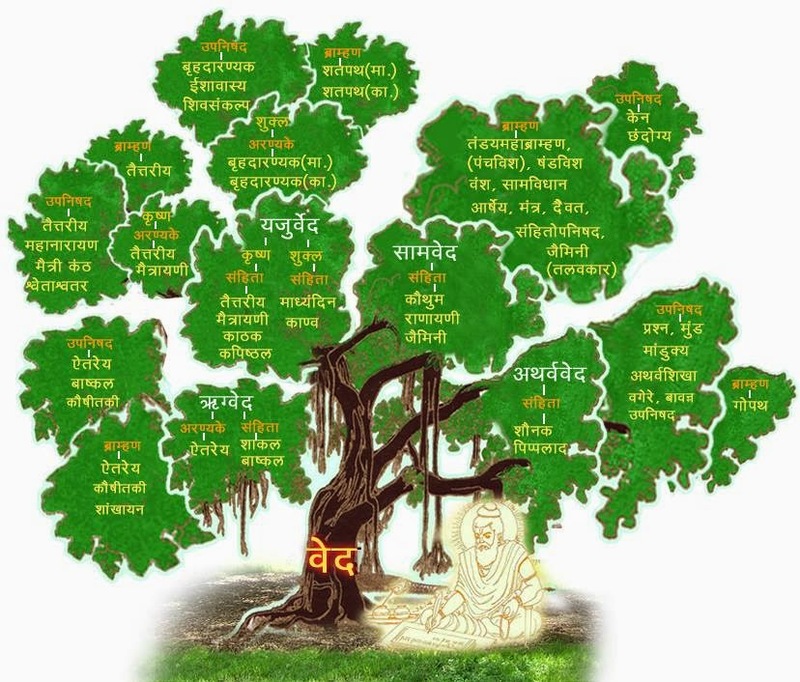 Svetasvatara Upanishad : Reveals the nature of Purusha, Prakrithi, Jiva, Ishvara and Brahman. Yajnavalkya Smriti - lays down the foundations for Aryan rituals, marriage and birth ceremonies, idolatry, justice and repentance for sin committed. Manu Smriti - lays the foundations for the Aryan law system. Brahma Sutras : An enquiry on Brahman. Dr. Einar Thomassen is the author of the book The Spiritual Seed: The Church of the Valentinians and he is the first gnostic scholar apart from Elaine Pagels to have made a succinct formulation of the Valentinian system. His doctoral research was made on Tripartite Tractate, a Valentinian text which fully describes the Valentinian view of the cosmos. I really don't have to say anything else as Einar Thomassen has beautifully described our doctrine with his own words and I have nothing to object. I would just like to add that if there is any Valentinian text that I would always like to keep it with me till my death then it will be the Gospel of Truth. In fact Einar Thomassen said in an another interview, "Not every time he (Valentinus) sat down to write a Gospel (Gospel of Truth) where he was going to throw in all the cosmology, cosmogony and the theogony." If anyone wants to understand the Valentinian system I would highly recommend reading Gospel of Truth because it was probably written by the great Valentinus himself. While I write this my heart bleeds at the way that these sensitive Christians were burnt alive by the so called orthodox church authorities. The terms Chakras, Nadis, Kundalini, Koshas and Prana (elan vital) are all from eastern philosophy and they all exists in the subtle body and not in our physical bodies as any molecular biologist knows that no such things exists in the physical body. Nadis are not nerves but rather channels for the flow of consciousness. The literal meaning of nadi is "flow". Just as the negative and positive forces of electricity flow through complex circuits, in the same way, prana shako (vital force) and manas shako (mental force) flow through every part of our body via these nadis. According to the tantras there are 72,000 or more such channels or networks through which the stimuli flow like an electric current from one point to another. Where is the evidence for the subtle body? 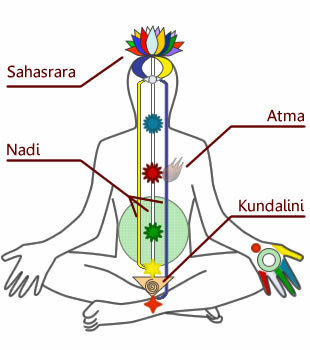 Another meaning of Kriya is an outward physical manifestation of awakened kundalini, such as a spontaneous body movement related to Kundalini energy flow. O Kriya Shakti is "a power of thought" said to be greatly studied by yogis. Many long term practitioners of Yoga including myself have experienced spontaneous body movements which are almost like seizures. For more information read What are Kundalini Kriyas? Is it Psychosis or Transcendence? The awakening of Kundalini is not a psycho-somatic syndrome as some of the Western Psychologists wants us to believe. Its a perfectly normal phenomena where spontaneous kriyas cleanse the knots in the nadis there by enabling the smooth flow of Prana in the subtle body which initiates a man into the spiritual path of Yoga and redemption. 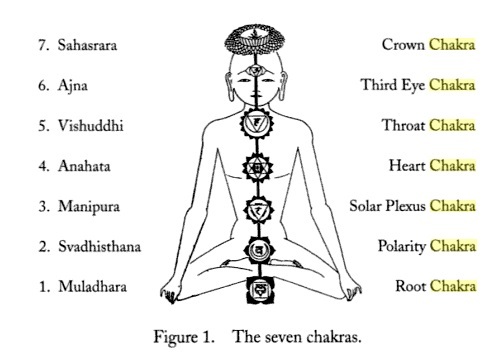 Where the chakras are mentioned in Aryan texts? The chakras are mentioned in the famous Lalitha Sahasranamam Strotram which is chanted by Aryans. Sahasraram bujarudha: Who then ascends to the Thousand – petalled Lotus known as the Sahasrara. Sudhasarabhi varshini: Who sends streams of Nectar (spiritual bliss) from the Transcendent moon in the Sahasrara. Agya chakrantaralstha: Who next abides in the centre of the Agya – chakra. Rudragrandthi vibhedini: Who finally breaks through the Rudra – granthi (the barrier to the subtlest dimension). Anaha tabjanilaya: Who is in the form of the Yogini called Rakini abiding in the Anahata Chakra. Shyamabha: Who is of shining dark complexion.Vadanadvaya: Who as Rakini has two faces. Vishuddhi chakranilaya: Who resides in the Vishuddhi Chakra. Raktavarna: Who is of a rosy complexion like the Patali flower. Trilochana: Who has three eyes. Manipurantarudita: Who then emerges in the Manipura – chakra. Vishnugranthi vibhedini: Who then breaks through the Vishnu – granthi (the barrier to still subtler dimensions). Svadhisthanam bujagata: Who abides in the Svadhisthana Chakra under the name of Kakini. Chaturvaktra manohara: Who is fascinating with Her four faces. Muladharaika nilaya: Whose chief residence is the Muladhara. Brahmagrandhi vibhedini: Who in Her ascent from the Muladhara breaks through the Brahma-grandhi (the Barrier of Brahma to the subtle dimension). Lalitha Sahasranamam full song, just enjoy the melodious voice and its beautiful literary. It is the south Indians who have a better grip on the Vedas and the Vedic chants than the North Indians.